Lord Shiva is the supreme God of saivetes in Hinduism. He is adorned and celebrated as one of three major gods of the religion (Lord Brahma, Lord Vishnu and Lord Shiva). In Hinduism it is believed that He is one who will destroy all the evil things in the world. He will save his true devotees form all worries and problems. LordESS Shakthi is the consort of Lord Siva. Lord Muruga and Lord Ganesh are the sons of Lord Shiva and Lordess Shakthi. 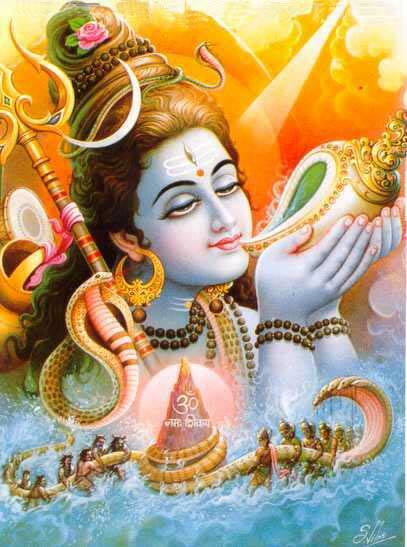 There are many old Tamil films containing the devotional songs of Lord Shiva. The films Thiruvarutselvar, Thiruvilayadal and Karaikkal Ammayar are some old Tamil devotional films are containing devotional songs of the Lord. Let us watch some the some of them. The above video song is from the devotional movie named Thiruvarutselvar released in 1967. Dr.Shivaji Ganesan starred in the song. The song was beautifully shot as the actor Shivaji Ganesan sang the pride of the Lord just before his shrine. T.M.Soundarrajan sang the song and K.V.Mahadevan composed the music. Thiruvilayadal released in 1965 is the name of the movie in which above song is present. Tamil film playback singer T.R.Mahalingam starred and sang this beautiful song. The music is by K.V.Mahadevan. According to the film story T.R.Mahalingam acted as the prime pandit in Pandya kingdom. Once the king asked him to compete with another pandit named Hemanatha who visited the kingdom. Since he feared to compete with Hemanatha, he prayed Lord Shiva for his grace. The above song is from the movie 'Thiruvarutselvar' released in 1967. Dr.Sivaji Ganesan acted as a devotee in the above song and he sang infront the shrine of Lord to get the grace of a snake which bite an innocent boy. T.M.Soundarrajan sang the song and K.V.Mahadevan composed the music for the song. At the end of the song the boy was saved by the grace of Lord Shiva. 'Thiruvilayadal' released in 1965 is the movie in which above devotional song is present. Dr.Sivaji Ganesan acted as Lord Shiva in that movie and he took the form of poor wood cutter in order to teach a lesson for the arrogant pandit Hemanatha. Sivaji Ganesan sang a beautiful song so that Hemanatha could hear the song. At last Hemanatha realized his mistake and escaped from Madurai. 'Karaikkal Ammaiyar' released in 1973 is the movie in which above song is present. K.P.Sundaraambal starred in the song and she took the role of Karaikkal Ammayar. It is a great devotional song of Lord Shiva as we can see the beautiful dance of Lord Shiva and Lordess Shakthi. Sivakumar and Sri Vidya acted as Lord Shiva and Lordess Shakthi. The song was sung by K.P.Sundaraambal and Kunnakkudi Vaidyanathan composed the music.